This post is sponsored by P&G. With Tide®, Downy® and Bounce®, you can keep your summer fashions looking new up to 50% longer. * Text CLEAN to TARGET (827438) for mobile coupons. *vs. leading value detergent alone. One major thing that has surprised me about breastfeeding is the specific wardrobe I need to wear. Sure, you can pull down any bra and pull up any shirt (or dress! ), but for the easiest, most convenient and discreet nursing I prefer to have tops that are easy to pull down or drape across and comfortable, supportive underclothes. The following pieces are some of my very favorite and most-used nursing friendly pieces. Everyday:: LOFT Shirred Tee + Cotton Shorts // I have both of these pieces in multiple colors. The top isn’t a maternity top, but it pulls down just like one and is very flattering when you aren’t quite ready for a skin-tight shirt across your belly. To A Party:: Athleta Printed Jura Dress + Pashmina // This dress is SO comfy and perfect for hot summer nights! I also like to take a pashmina with me to quickly drape across myself for nursing in public. At The Beach:: Athleta Solid Bra Cup Twistini Bikini Top + Target Xhilaration Swim Coverup Dress // This bathing suit top is the most comfortable, supportive suit I’ve ever worn. I can RUN in it and that’s saying a lot! It was easy to pull aside for nursing on the beach. I love tube tops for beach coverups and they make nursing a cinch. On An Airplane:: Alternative Apparel Wrap + Bravado Nursing Tank // I love this wrap for an extra layer of warmth when traveling, but it also makes a perfect cover for nursing when you need to be quick, especially when just wearing a tank underneath. To Bed:: Motherhood Maternity Sleeveless Nursing Tank + Wrap Sleep Bra // In the middle of the night the last thing I want is to be fumbling with bra clips. Sadly going without anything isn’t an option. These two pieces together make an excellent combo. Even though I’m not nursing at night now, I still always wear a combination of these two (I have 5-7 of both) for first thing in the morning sessions. As someone who loves clothes, I have a hard time dressing every day knowing I need to be able to pump or feed my baby. All my old clothes fit again, but all my summer dresses are shift dresses or maxis that aren’t conducive to breastfeeding. I feel like I’m always wearing the same things, but at least I’ve livened up my summer wardrobe with lots of shorts in bright colors/prints. 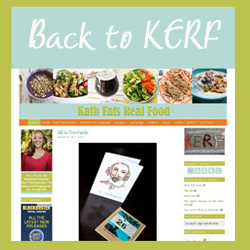 Hi Kath–as a regular blog reader, I must say that this post is a little frustrating. To me as a reader, accepting compensation from P&G means that you endorse their products, especially since you specifically mention Tide, Downy and Bounce in the post. Do you use these products in your home? This doesn’t seem in line with your Home Neat Home posts about Soap Nuts or Nature Bright from a few years ago, when you were searching for the best “green” laundry detergent. I wouldn’t have a problem with this sponsored post if you do in fact use these products now, and I honestly don’t really care if you use green products or not. But I don’t like that you have posted many times before about the importance of green cleaners to you and then you accept compensation and endorse products you seemingly have no intention to use. I actually do use Tide now…it was a necessary switch for our cloth diapers. But thanks for the feedback. We switched to Tide, too! I loved Country Save for our cloth, but we moved to Germany and have pretty hard water. Tide is awesome for our situation! I can’t stand stinky diapers. Eh, I don’t care – Kath, I appreciate that you don’t load your blog with sponsored posts and free press trips etc., but you are (I guess) technically a journalist and I think we all understand that business is business and sometimes you will do a sponsored post! Again though, I so appreciate that it’s rare. Disappointing since P&G tests these products on animals. How about Rockin’ Green? I know it’s great for cloth diapers. Thanks for the review! The nursing sleep bras are also a must for me, and that swim top is super cute. I am just wondering why you have to wear something at night when you nurse? I don’t have kids yet (hopefully in the very near future!). I don’t like to wear anything to bed now an I didn’t know it was necessary to wear something to sleep in when nursing. Just an FYI–this doesn’t happen to everyone. 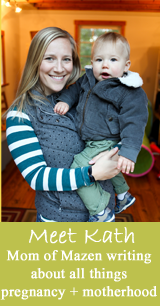 I have been successfully breast feeding my son for 13 months, and have only leaked once. So…if and when you bfeed, it might not be a given for you! Have you recommended nursing bras? I’m in desperate need for some good ones and I’m lost! Target doesn’t carry my size. Im going to hit up motherhood maternity this weekend but didn’t know if you knew of some awesome nursing bras. Thanks! Bravado brand, particularly the Bliss. Awesome bras! Was there a brand/store where you found comfortable maternity shorts and casual tops? I love Loft shorts normally – but now I’m 5 months pregnant and just starting to need a new wardrobe. Thanks! I bought most of my mat. clothes from Motherhood. Mostly because it was the only store nearby that was affordable and their stuff was pretty nice. I also shopped at Old Navy and GAP but they had a much smaller selection. I’m a nursing mama too, and love that dress. Just wondering – did you order a regular or petite – the length looked great in the pictures. Have you checked out the EWG Guide to Healthy Cleaning database for health concerns related to toxins in P&G products like Tide, Downy and Bounce. These all are poorly rated with significant health concerns. I would not recommend that readers use these products, especially around young children. You’ve mentioned using EWG’s sunscreen ratings before. 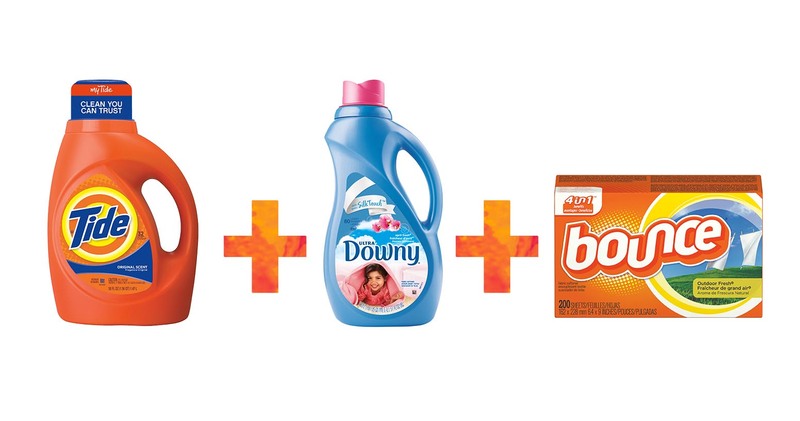 We love Tide & Downy and our family has used it for generations. I’d like to point out that my grandparents died of old age, not from using Tide 🙂 I do like the EWG website for understanding what chemicals are in products, but, as a Chemist I also question the studies behind the rating systems. Of course we all want the best for our children and with the world of social media we can all get very confused about what that is. The best we can do is trust our judgement and “everything in moderation”. Oh, and please don’t let your children drink this stuff. In the meantime, let’s remember we are all human and have our own experiences. If you don’t like a bloggers post, do you really need to criticize it? If you dont want to use these products, then don’t and do so without making a mother feel guilty about what she is using for her children’s laundry. Lovely post, and great outfits! Just some feedback, keep up the good work! Thanks for your feedback : ) I wish I could keep my blogs going simply because I love them, but they are income for our family so these posts must come about from time to time. The tank link wasn’t working for me. First time expecting mom and I’d love to find out which nursing tanks are most supportive! Thanks! I’m afraid I have to say that I do agree with some of the previous comments – that sponsored posts do really change the feel of the blog. They feel like you’re doing it because you have to (like you said – for income), not because you want to. Which makes me not want to read – because it makes me wonder if your heart is really in it? I do appreciate the personalization, honesty, and transparency – but I don’t read as much anymore. As a new mom myself, I love your blog 🙂 It makes me sad to see the negative comments on this post. We love Tide & Bounce and my family has used them for generations. Oh, and my grandparents died of old age, not from using Tide 🙂 But it shouldn’t matter to other humans what I decide to use for my child’s laundry. We all are entitled to make our own decisions on what we see as best for our children. Keep up the great work on your blog and please don’t let other judgements from others sway you away from doing what you feel is best for your family.